There are some definite benefits to choosing a local insurance agency for your car insurance in Cary, especially if you choose us at Carter Glass Insurance. We at Carter Glass Insurance will provide you with not just the right-fitting car insurance for your needs, but also the best-possible rates on your car insurance. We at Carter Glass Insurance are the best local insurance agency to help you select the best car insurance policy at the lowest rates. We work hard for our customers in Cary and are always looking for ways for you to save more on your insurance coverage. It’s also good to know that we can help you save on insurance other than your auto insurance coverage. If you are looking to save on your home insurance or other personal or business insurance, then just let us know and we’ll provide you with great savings on robust policies that are difficult to find anywhere else. 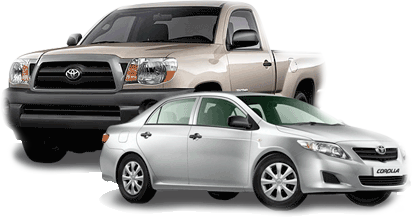 Get the right car insurance in Cary at the right rates with our help. Why not get started right now? We provide fast and free car insurance rates, so feel free to fill out the insurance quote request form found on our website or you can give us a call. We’ll be happy to discuss all the ways in which you can save on your car insurance and other insurance. Otherwise, feel free to learn more about us and how we can help you save more by browsing through our Carter Glass Insurance website, http://carterglassinsurance.com.